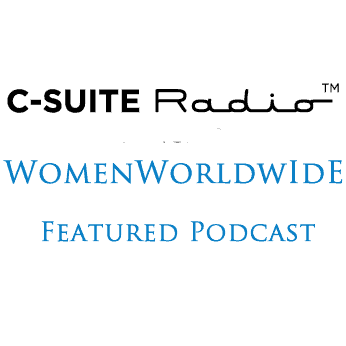 Aly Saxe, founder and CEO of Iris PR Software, joins Host Deirdre Breakenridge on Women Worldwide. Aly’s journey in public relations has led her from PR pro to PR agency owner to building software for agencies and in-house teams. Chaotic systems and a lack of visibility into her team’s performance pushed Aly to create a tech platform to cure the headaches of PR agency management. On the show, Aly discussed her approach to problem-solving especially as a woman in tech. Because you have to be flexible and agile and keep up with the pace of change, Aly shares her favorite resources. She also offers her insights on the importance of integration in an organization and the best way to break down silos between departments including marketing, PR, sales and other areas within a company. Because these barriers separate talent, businesses miss out on increased productivity, ideation, innovation and a better experience for customers. In 2007, Aly founded Ubiquity PR to provide strategic PR services to funded, high-growth B2B tech companies. Ubiquity PR created award-winning PR campaigns for companies like Infusionsoft, Firehost, SocialWhirled, and LeadMD.